Ever gotten your tubeless tires changed. I am sure you have. Ever gotten your wheels balanced. Probably not! Probably one of the only shops in India to have one of these wheels balancing machines. Why do you need to balance your wheels?If you’ve got some harsh vibrations or the steering feels loose or wobbly then your front wheel could be out of balance. Those vibes will stress wheel bearings, make the tyre run hotter and could loosen various fasteners around your bike. You want to counteract the weight causing an imbalance by adding weight directly opposite the heaviest point of the wheel. These weights come in 5g or 10g sizes and are sticky-backed to keep them in place. Drop by at IndiMotard’s Greasehouse. 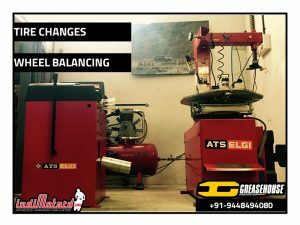 We have got one of only few two wheel balancing machines in India!! 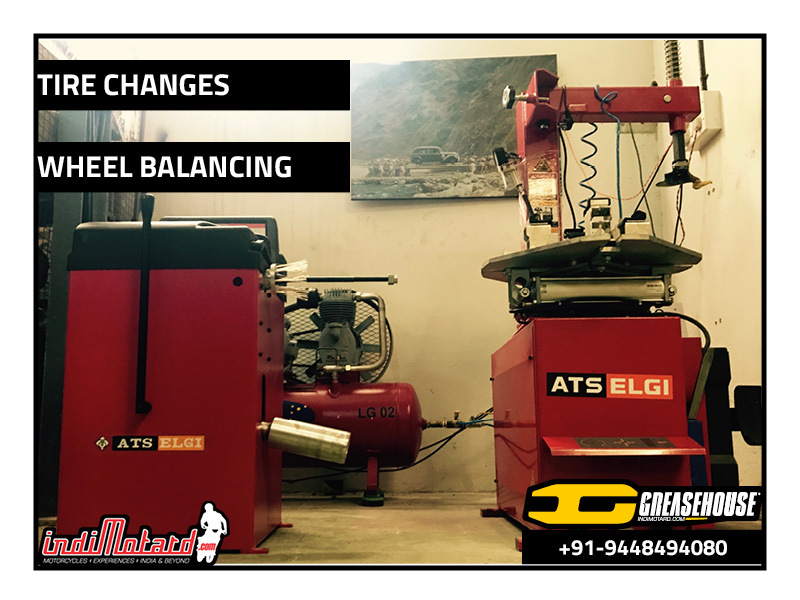 Thanks to ELGi Equipments Ltd. and Ats-elgi Coimbatorefor the machines that make life better and easier. #yamaha #honda #ktm #triumph #ducati#suzuki Call us on +919448494080 to schedule a slot!